Terrified of heights? like your feet on the ground? want to do something for charity? clearly the world’s fastest zip wire was the prime choice! I generally like to try and do something for charity once every few years, the last money raising event I did was a fire walk for Keeping Abreast in January 2013, so it was about time to do something else. 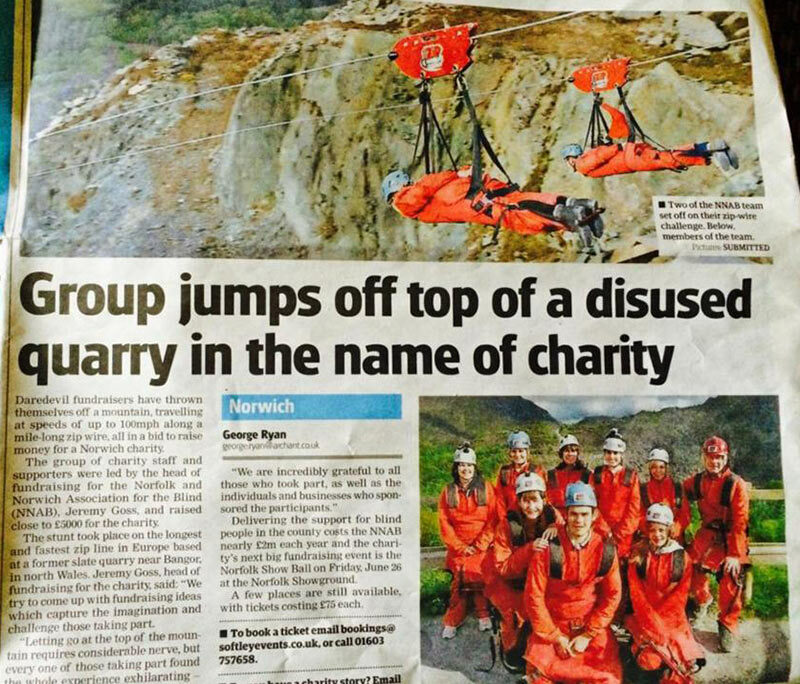 That's when an email went round ESE asking if anyone wanted to take part in a zip wire trip for the Norfolk and Norwich Association for the Blind. Fast forward to May and a bit too early on a Saturday morning for my liking I was bundling into a minibus destined for Wales! Everyone was incredibly friendly and made the journey zip by (see what I did there?) driving through the beautiful North Wales countryside we finally made it to Zip World. 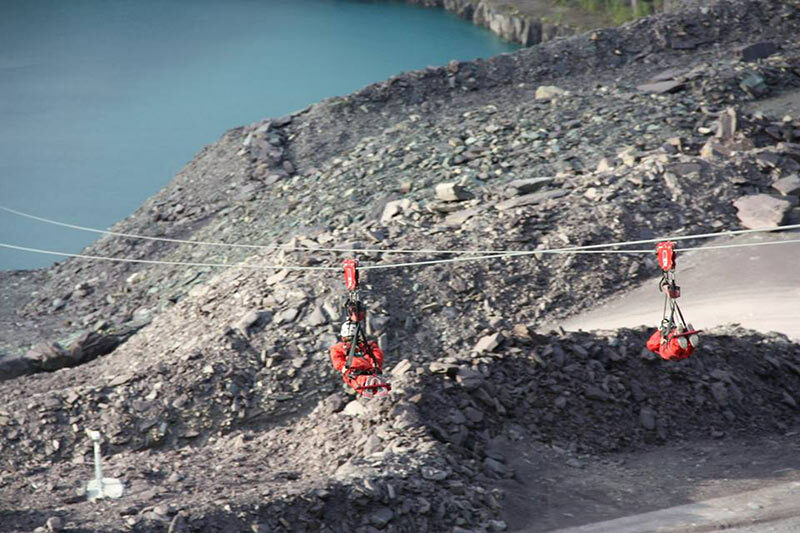 Once we had the safety talk and were suited and booted they started us off the 'Little Zipper' which, is a bit of a lie, at 500m it is still the third longest zip wire in Britain. It takes you over the tree tops, with a great view of the disused Penrhyn quarry to your right. You hit up to 45mph on this one. After that it was a 10-15 min military truck journey up the mountain to the main event, when you get to 500ft you have reached your destination, this is where your resolve is tested, they clip you in at the edge, and I can tell you when they tell you to let go of the sides, it goes against everything your natural instinct is telling you to do. Finally you are all strapped in and they count down..3...2...1! I've put together a video for you so you can feel like you were there yourself! enjoy.